To promote, protect, and enhance professional school nurse practice through advocacy, evidence-based education, collaboration, and partnerships that support each student’s well-being and readiness to learn. 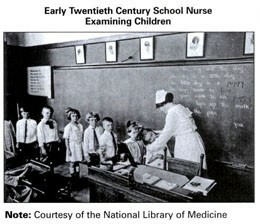 School nursing practice has changed over many years since 1902, when Lina Rogers was hired to reduce absenteeism by providing nursing care for students and families. The role of the school nurse has changed from merely treating communicable diseases into a more advanced nursing specialty. Hot off the press from the National Association of School Nurses (NASN) is the Framework for 21st Century School Nursing Practice. NASN recognized the change in school nursing practice. 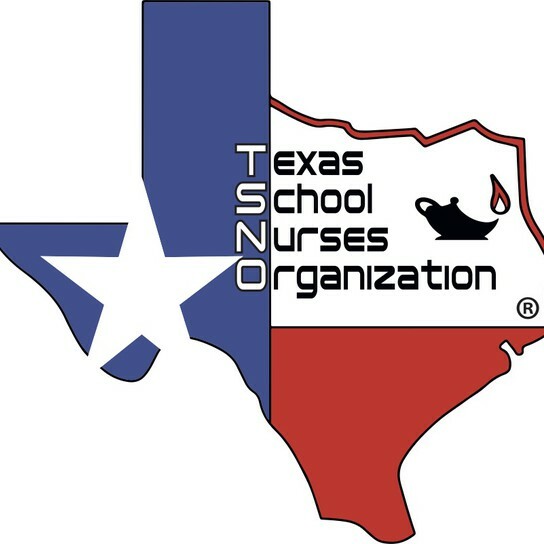 According to Maughan, Bobo, Butler & Schantz (2016), “These changes impelled NASN to develop a visual, conceptual Framework that explains the key principles of school nursing and provides structure and focus to current evidence-based school nursing practice.” I challenge you to incorporate this Framework in your nursing practice and share with your school nursing colleague. School nurses are a powerful force in helping students be healthy, safe, and ready to learn. Nearly a century later, Lina Rogers Struthers’ words still have relevance today. Maughan, E.D., Bobo, N., Butler, S., Schantz, S. (2016). 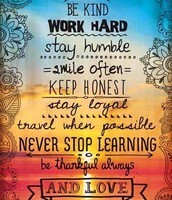 Framework for 21st Century School Nursing Practice. 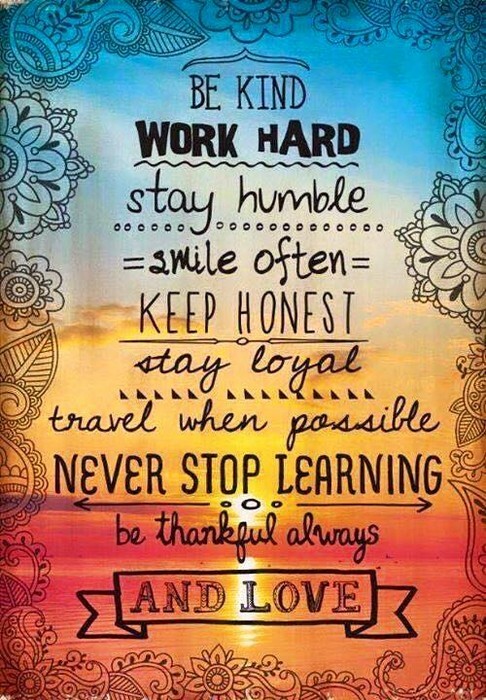 NASN School Nurse, 31(1), 48-53. Please take a moment to take the brief STANDARDS OF PRACTICE SURVEY. Now Playing On NASN Radio! The Road Ahead for School Nurses. Click here to Listen! This is an opportune time to raise awareness through education. Cardiovascular disease is the #1 leading cause of death in the United States. It is important to remember that 80%–90% of people who have coronary artery disease have at least one major controllable risk factor. Most of these risk factors can be managed or eliminated, decreasing the chance for serious heart problems and poor circulatory health. As school nurses, we are in an extraordinary position as the health expert on our campuses to be an advocate and educate for heart health practices and ways to manage health emergencies. Check out My Life Check®- designed by the American Heart Association with the goal of improved health by educating the public on how best to live. 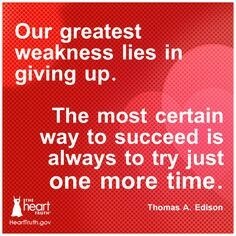 From this site, you can learn your heart score, find resources that will help you and others manage blood pressure, control cholesterol, reduce blood sugar, get more active, eat better, lose weight and stop smoking. Anyone regardless of age or gender, can start taking small steps to make healthy changes. 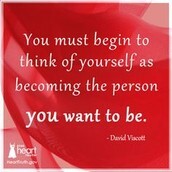 If you are a Pinterest user, for more resources check out my Heart Health 4 Life board! Nurse Attorney Edie Brous- School Nurses Save Lives! Click here for more!! The Texas Department of State Health Services (DSHS) The Texas Department of State Health Services (DSHS) Health Emergency Preparedness and Response Section (HEPRS) will host eight workshops – one in each of the DSHS Health Service Regions – for the purpose of sharing in-depth, Texas-specific preparedness and response information pertaining to high consequence infectious diseases. The workshops will provide information for attendees to review current strategies, assess individual levels of preparedness and response, and identify gaps. 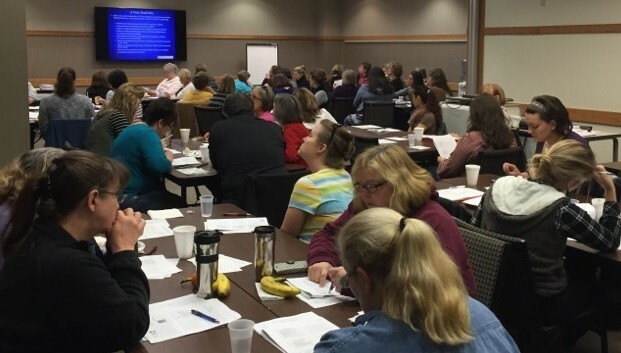 Subsequent to the eight regional workshops, DSHS will host a capstone symposium in the summer of 2016 to address cumulative gaps identified as well as other information gathered in each regional workshop. 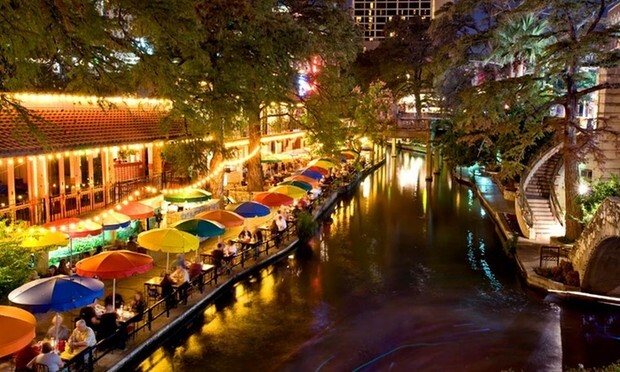 Section (HEPRS) will host eight workshops – one in each of the DSHS Health Service Regions – for the purpose of sharing in-depth, Texas-specific preparedness and response information pertaining to high consequence infectious diseases. The workshops will provide information for attendees to review current strategies, assess individual levels of preparedness and response, and identify gaps. Subsequent to the eight regional workshops, DSHS will host a capstone symposium in the summer of 2016 to address cumulative gaps identified as well as other information gathered in each regional workshop. For additional information and registration, click here. A survey about the role of school nurses in concussion management. Hello! 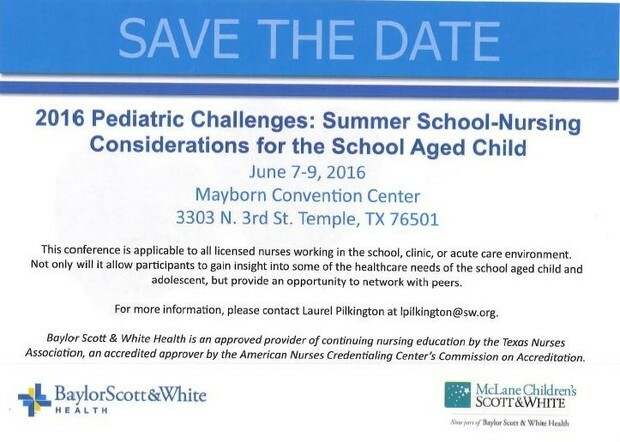 My name is Kathy Schneider and I am a PhD nursing student at the University of Texas at Tyler, School of Nursing. 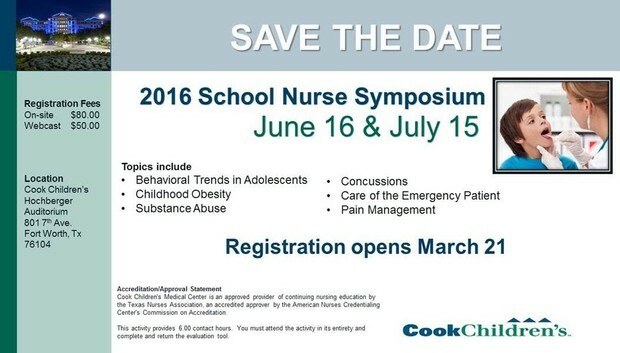 I am conducting a study about the role of school nurses in concussion management. Please consider participating in this research study by completing a short 15 minute online survey. The purpose of the study is to determine the current concussion management protocols at your school and your perceptions of these protocols. Your participation is valued and by completing the survey, you will be helping researchers understand concussion management in high schools and middle schools in Texas, which will guide future research. There are no known risks for participating. After completing the survey, you will also be given the opportunity to enter a drawing for a $25 Amazon gift certificate if you choose to provide your name and email address. All names entered in the drawing will be confidential. If you elect not to participate in the drawing, participation will be anonymous. By taking this survey, consent is implied. 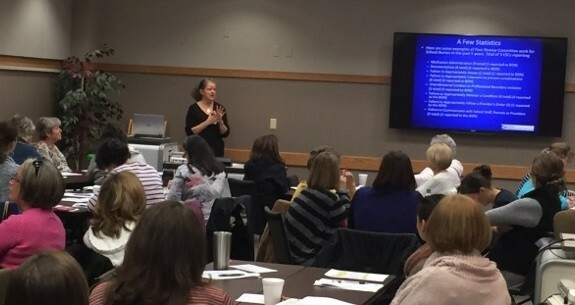 TSNO Region 13 hosted the Nursing Jurisprudence and Ethics for the School Nurse, presented by Anita Wheeler and Karen Schwind. 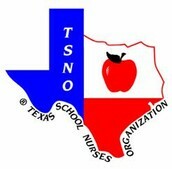 TSNO Region 13 Meeting Saturday January 23. 70 attendees enjoyed breakfast and continuing education! The Region's Peer Review committee was reviewed and districts who are not members were invited to join. Upon successful completion of this offering, participants will receive 1.0 CNE contact hour. Cost: FREE for NASN members and non-members! The National AHEC Organization is pleased to provide you with this free continuing education opportunity to learn more about HPV vaccination and the need for a strong recommendation in girls and boys 11 - 12 years old. This presentation includes up-to-date information on HPV infection/disease, the HPV vaccine, and ways to successfully communicate with patients and parents about it. “You Are the Key to HPV Cancer Prevention: Understanding the Burden of HPV Disease, the Importance of the HPV Vaccine Recommendation, and Communicating About HPV Vaccination” presented by faculty from the Centers for Disease Control and Prevention. Funding for this self-study guide was made possible by the Center for Disease Control and Prevention Grant No. 1H23IP000960-01 to the National AHEC Organization. The views expressed in this written document do not necessarily reflect the official policies of the Department of Health and Human Services, nor does the mention of trade names, commercial practices or organizations imply endorsement by the U.S. Government. Inspired by increased responsibilities of school nurses in the past decade, our M.Ed. in SCHOOL NURSE EDUCATION strengthens the knowledge of school nurse professionals. The curriculum focuses on nursing processes with school age children, management and evaluation of school health programs, leadership skills, research in the field, and legal and ethical issues in this unique nursing specialty.